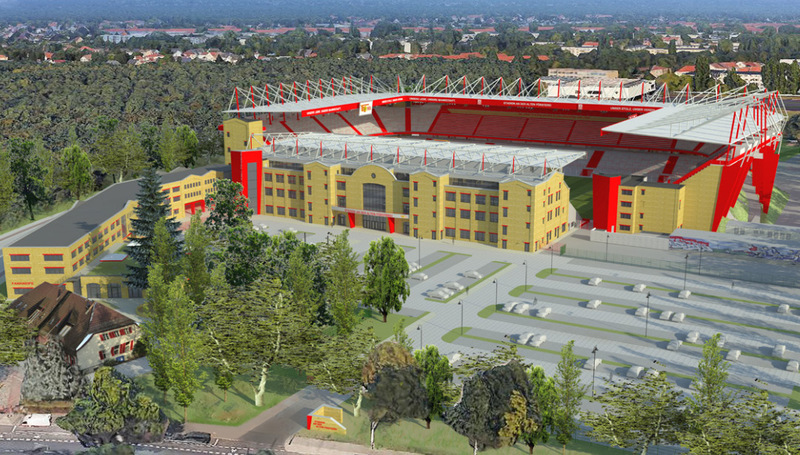 After two phases of reconstruction in 2008-2013, Union Berlin have prepared the largest overhaul of “Old Forestry” in the stadium's history. 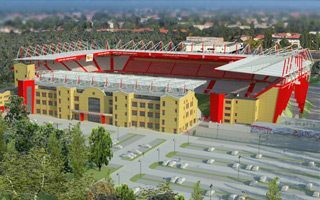 For the building's centenary in 2020 three terraced stands are expected to have double tiers, growing in capacity terms by 14,966 and allowing the ground to reach nearly 37,000. 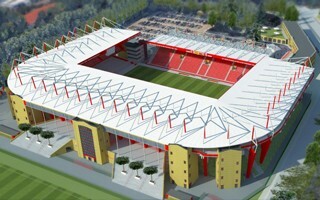 The plan envisions a spectacularly high percentage of standing room, which will constitute 78% (28,692)! This way Union hope to preserve the unique atmosphere of their home and retain the reputation of a cult club. That said, Alte Försterei will also substantially grow in terms of individual seats (from 3,617 to 8,286) and VIP seating (from 1,866 to 2,280). Meanwhile the number of wheelchair spaces should nearly double from 37 to 71. Additional changes are also planned at the western plaza, where current clubhouse would multiply in terms of floorspace. New commercial and office spaces at the clubhouse are expected to come first, between 2018 and 2019. Only then, in spring of 2019, the reconstruction of all three grandstands will begin.